Gasteria pillansii Kensit var. hallii Van Jaarsv. 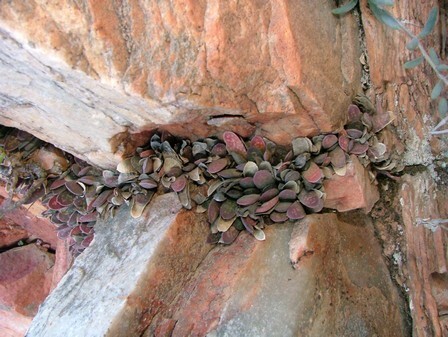 A range restricted taxon (EOO 90 km²), known from two locations where it is threatened by illegal collecting for the specialist succulent horticultural trade. Inland from Port Nolloth in the Richtersveld. Threatened by illegal collecting for the specialist succulent horticultural trade.